Once a 50 year old swimming pool, the Ardmore Community Water Park is now one of the city's newest recreational attraction with all the elements of a major water theme park. The new Water Park features twisting slides, water basketball and a zero-depth entry pool for young children. 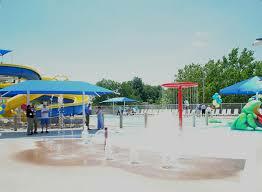 Ardmore's Water Park has also inspired nearby communities to develop similar facilities.